The VGA-compatible text mode Wikipedia article has some information which looks false to me. Basically, it states that the shaded block characters (0xB0-0xB2, ░▒▓) should have their last pixel columns doubled in 9x16 text mode, rather than blank. 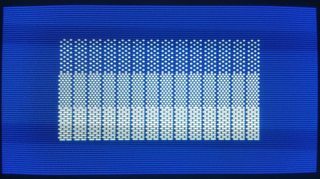 This is quite at odds with every VGA card I've ever seen, where repeating those characters *does* visibly show blank columns between the character cells. On the other hand, I don't think I've seen a real IBM VGA in action -- if we had visual proof of how the original specification actually behaves, that'd put it to rest. - Anything else that extensively uses the shaded block characters. Yep, I realize that there's little point in sperging over details like this, but someone just emailed me regarding the VGA fonts on my website, and pointed me to the Wiki article (suggesting that my fonts may be following faulty documentation). So I thank you in advance for helping me settle the matter, and fighting the good fight against Wikipedia revisionism. I have a PS1/pro mod. 2123 with some TI(? I think?) VGA onboard, would that work for your research? Maybe TI built it for IBM? I don't exactly remember, I'll have to take a good pic I guess. 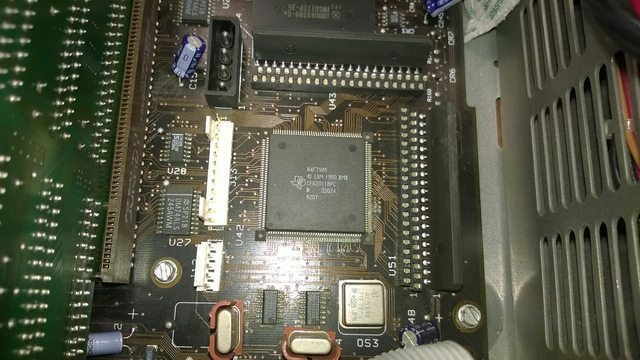 What is the chip of an IBM vga? does it have the IBM logo or something? ...and I have a 386SX PS/1 type 2133 with some on-board VGA, I really can't recall what it is. Please let me know if you want me to look it up. 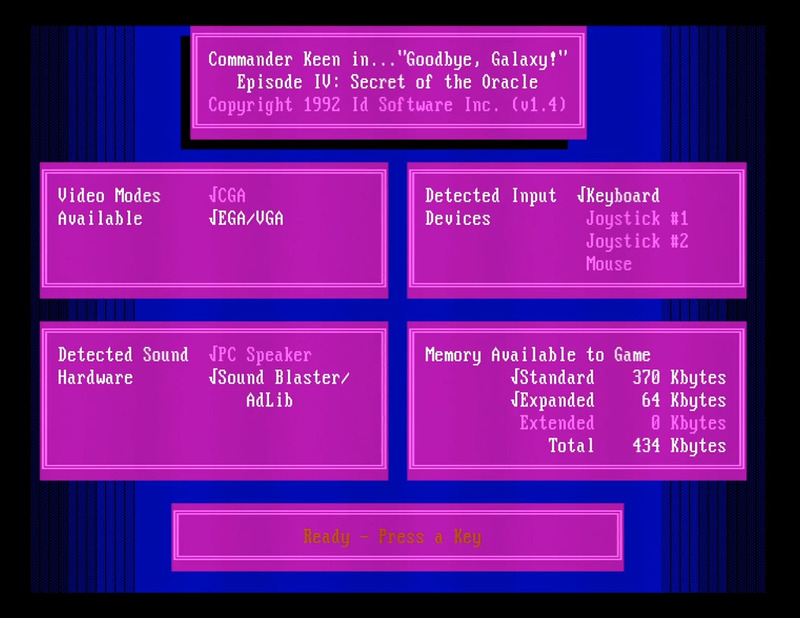 VGA-compatible video cards duplicate the 8th dot to the 9th when the upper 3 bits of the character number are 110 ((char & 0xE0) == 0xC0), in other words chars 0xC0 through 0xDF. Besides, who isn't used to seeing the "pinstripes" on a screen filled with the checkerboard block? konc wrote: ...and I have a 386SX PS/1 type 2133 with some on-board VGA, I really can't recall what it is. Please let me know if you want me to look it up. ^ That's exactly the type of photo I was after, thank you. I suppose the question now becomes which specific chips are used on the earliest IBM VGA systems - that is the original PS/2 models 50/60/80, or the original IBM ISA VGA card (IBM Personal System/2 Display Adapter, P/N 1887744). Actually, here's the model 70 board.. can you spot the VGA chip? 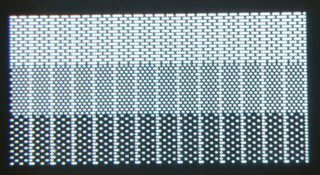 ripsaw8080 wrote: VGA-compatible video cards duplicate the 8th dot to the 9th when the upper 3 bits of the character number are 110 ((char & 0xE0) == 0xC0), in other words chars 0xC0 through 0xDF. ...which is more plausible than Wikipedia's claimed 0xB0-0xDF range -- in terms of logic design, checking for that one would be quite a bit more complex. Besides, who isn't used to seeing the "pinstripes" on a screen filled with the checkerboard block? Wikipedians who go to spurious Intel documentation instead of using their own eyes, because the former is a "notable source" while the latter is "original research"
Excellent, thanks What screen is that- I assume the foreground is black and the background colors are the ones that change, yes? Just some chars made with TheDraw - colors like you described , it's the background that changes. I thought it was more clear like that. 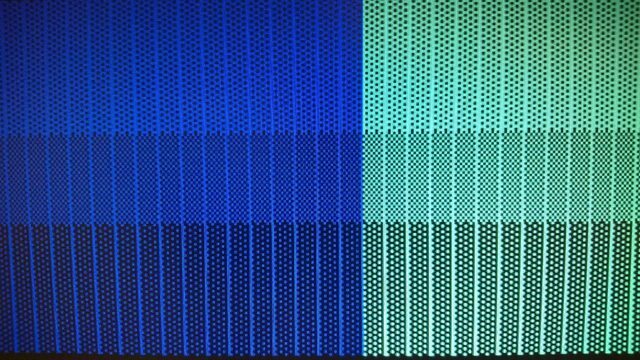 VileRancour requested that I take a photo of my screen showing the output from my IBM PS/2 Display Adapter, the original IBM 8-bit VGA card. 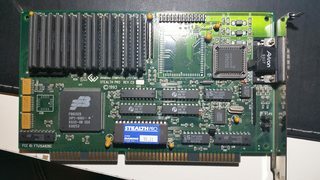 I have attached a photo clearly showing that there is a blank column of pixels for the ASCII characters B0, B1 & B2, just like almost every other VGA card. Man, that was quick - excellent, you rock. Much obliged!